There is a lot of stigma about what it means (especially in adulthood) for an adult to have Asperger’s Syndrome. Why is that? There are as many reasons as people who hold stereotypical views about Asperger’s Syndrome in adults. The number one stereotype is that all with Asperger’s are the same and fit all listed criteria (no longer included as such in the DSM-5 as it was in the DSM IV) that you can read about online. This is just not true at all. 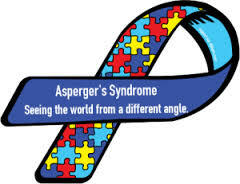 Firstly, there is are many differences between all who have Asperger’s Syndrome (listed now in the DSM-5 within the “Autism” outline – something that most in the Asperger community do not like) the most obvious one being the differences, for the most part, again, allowing for individual differences, between males and females. Females tend to be less affected when it comes to lack of empathy, lack of compassion, and other aspects of Aspergers than males are (which varies in a wide-ranging way with all adults with Asperger’s anyway) because females are still socialized differently (Reference: “Asperger’s Syndrome” by Dr. Tony Attwood) from males and Asperger’s does occur more often in males than females. Or, because there is only a diagnostic scale for males and not one for females, more females who fit the criteria would be diagnosed if not for this prejudice in the diagnostic process. 1. That Asperger’s Syndrome is Just a Disability: As an adult with Aspergers I happen to know first hand that there are many blessing and a true giftedness that I have in part because I have Aspergers. 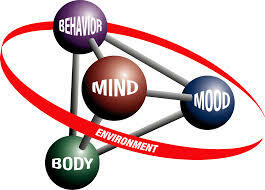 Many, like myself, with Aspergers in adulthood are very “high functioning” and learn or have learned to use our narrow focus or focuses of interest to our benefit to take the unique and often faster and more efficient way that we can take in information, process it, synthesize it, and move forward with it in many ways, along with an above average intelligence, to pursue University education and contribute to the world in many fields as professionals. In my experience as a person with Asperger’s Syndrome, I believe it has given me a giftedness in many areas (Okay, not socially, but that doesn’t mean I have weaker social skills than the average NeuroTypical). Aspergers, in my experience, is also very much about having a different ability. Why do we have to judge the way “most people” do things then ascribe to that understanding, “normal”, (which is flawed non-existing concept to begin with) to it? Why is this incorrect assumption supported by an “us” vs “them” neurotypical version so supposed “reality”? A supposed “reality” that is lacking in any logic. 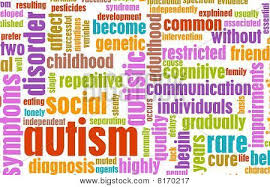 Why is a different ability and other differences judged or perceived as “les than” or “abnormal” or “undesirable” when really any comparisons are “apples and oranges” type comparisons and do not even have their genesis in any common logical factors from which to draw this conclusion of disability in the first place. 2. That adults with Asperger’s have no social skills: While there are some deficits that are a part of Aspergers and the context of “socialization” is one of them, why is it assumed that all people with Asperger’s are without adequate social skills? The truth about his is that the degree to which people – individuals with Aspergers have or lack social skills is highly individual and therefore it is stigmatizing and stereotyping to think that we are all the same. I have found that one can map and learn from past experience enough to be able to continue to learn to better socialize and to function in social situations in ways that pass as “normal”. The biggest difference I find in this area is that I am firstly an introvert, (according to Myers Briggs test results, actually I am an Introverted-Extrovert) just to make things a little more fun, as in complicated an challenging 🙂 This not withstanding, what I know about my experience as an adult with Aspergers is that I do not have the same “social drive” or “social needs” as extroverted people or as NeuroTypicals generally. However, that is not something that is easy to accurately measure or quantify because there are many Neurotypicals who are introverts and/or lack social skills or a drive to socialize as much as extroverts for many reasons and they aren’t considered “weird” or to have s disability. Though they too, may be judged as “too different” or “weird” by the most social extroverted Neurotypicals. My question for you to consider here is, if you are an extroverted and very socially driven Neurotypical why do you consider (if you do) that this is the only desirable or “normal” way to be? Could it be that you judge based only on your own ideas about how people should be perhaps because you feel uncomfortable or confused by people who are not the same as you? 3. That adults with Asperger’s get “triggered” by things: This is not an accurate understanding, in my opinion. People with Aspergers are not “triggered” in the sense that someone with PTSD may be “triggered”. Rather people with Aspergers have sensitivities to various – again individual – things or experiences in daily life. Rather than being “triggered” we have different ways of coping with stress. We have challenges with “flow” and with quick or seamless transitions from one thing to another. Some have tolerance thresholds that vary. Meaning that if they have to work, they cannot transition from interruptions back to work, or be interrupted in their work for other reasons and have people coming and going who don’t show up and leave at times that are predictable. Aspergers does leave us much more literal than NeuroTypicals. If we are told something will happen at 1pm (even though many of us know better intellectually) we will find it stressful if that literal arranged time is not met. How each person with Aspergers can or cannot cope with this varies greatly. It is also very difficult for many with Aspergers to transition from work to different tasks, to socializing, and then having to transition back to work. For example, if I have to wait for a contractor to come to my home and do some work, and even though I hope for the literal time I was told this would happen (knowing intellectually it’s unlikely anyone arrives on the dot of that literal time) I often have to put off other tasks or work until that contractor arrives and/or his work is under-way. Then I can leave it and go on do my own thing o work while they do their work. Stress can be produced, for example, in my example, when the contractor comes two hours after the literal time given, or when the contractor fails to show up at all on the day specified, let alone anywhere near the literal time arranged. If this continues over a period of time the stress that is causes me increases. While I try to continually de-stress, and often do so quite effectively, a cumulating stress that is on-going for a month plus for example, will become somewhat untenable to continue to tolerate and be able to get my work done and other things I want to do done or just relax and find something recreational to do. The point is that I am not “triggered” by the work of the contractor or unfinished things. It is the stress of managing to deal in and on-going way with a situation (I recently encountered with what is at the time of writing this a still on-going renovation of a townhouse I moved into recently) that feels invasive and intrusive to me. Even though I know intellectually that it’s not intrusive and invasive in any personal way or even isn’t as such in reality. It is the nature of my needing and wanting more time alone to pursue whatever I might pursue in work (writing, caring for my dogs, with friends, or many other things). It is not only an Asperger transition difficulty, it is also an introvert’s need to not be having people coming and going so much and end up with a lot of wasted time if time is set aside and then no one shows up at time I was told they would. (I get, again, intellectually that these things happen) Knowing that others may well not understand any of this if I try to explain it, nor can it be “accommodated” or change a given situation, necessarily, I am left to deal with higher stress than I would normally feel. This is not a “trigger” it’s long-term low-grade stress that builds and it is also low-grade frustration that builds and increases making things more difficult for me in ways others may not be able to relate to. But this is different from the traditional psychological definition and scope of a “trigger” in many other challenges that people face. 4. That adults with Aspergers are difficult to get along with: This is a stigmatizing stereotype that does not take into consideration differences to which we are entitled and worthy of having respected by others. Just as we have to be willing to compromise with others in situations where, for example one is living in the middle of a renovation, or requires repair work done on something, or things of that nature, others have to be respectful of perhaps different needs that I know can’t always be accommodated but that definitely are worthy of being without disrespecting a person’s difference, wherever possible. There is an inherent and very quick-to-judge a person with Aspergers as “difficult to get along with” if others to not pause to ponder differences and not expect that those with Aspergers or more introverted NeuroTypicals will all handle the stress of certain situations in the same way. I’m not sure that all NeuroTypicals would handle all situations in the same way themselves. When you move into a new place and people don’t know you, as I did recently, they can’t know I have Asperger’s either can they? So beginnings can be more difficult generally for me and for others due to this. Why? Because learning about me as an adult with Aspergers – me as an individual with Aspergers not me as a person with that “Asperger’s” read about online with all kinds of “traits” or things described therein that have nothing to do with me takes time. Also, because people, rather than jump to the judgment or unrealistic expectation that everyone new in a place will know what to do or will be included or assimilated in the same way, need to first try to dialogue and understand differences before they return to an unwelcoming (perhaps by my differences – and we all have them regardless) self-comfort culture of who they know and are comfortable with and then leaving me on an island of sorts. People with Aspergers like all people, perhaps to a somewhat lesser degree, hard to quantify, are not more difficult to get along with for anyone willing to be friendly, welcoming, and take the time to set aside judgment or what have you about differences and get to know an individual who is new and not pre-judge and end up talking about that person as “weird” or “difficult” when in my case, I can say with assuredness, this is just not really the case at all, when people really talk to me and get a feel for who I am. People with Aspergers are not more difficult to get along with when they are given the decency of respect and a chance to be known versus being pre-judged whether others know or not that they have Aspergers. People need to realize that while we all have difference, we still do have a lot of basic human things in common. We need to build bridges and not be in such a hurry to categorize and label and judge people and then just ignore them or as some people do just get their backs up. People who pre-judge and are not welcoming or willing or able to consider differences have their own issues and may be considered somewhat difficult themselves and need not project that on to people with Aspergers. 5. That adults with Aspergers are people to fear, angry a lot, or often having meltdowns: People with Aspergers, speaking generally, are more likely to be honest to a fault, perhaps out of “socially accepted convention” in ways that seem or are perceived as blunt. Many with Aspergers have little to no frame of reference of the NeuroTypical “social context” of saying things that they don’t mean or being dishonest – presenting as friendly while not meaning it which a person with Asperger’s will literally believe to begin with and then be confused by as they have to then try to figure out the duplicity. Speaking for myself, I am used to this so-called “NeuroTypical social context” which can be defined as a less than honest way of communicating and handling needs/wants, boundaries and the like effectively. Simply put, not having Aspergers does not mean you are “normal”. What is normal? Normal is a concept thrown around, thought about and judged that I defy someone to actually define. People with Aspergers, just like people who do not have Aspergers (called NeuroTypicals -NT’s) can have meltdowns. Like any individual, the propensity for a meltdown is an individual thing. In my case, it is very rare I have a true meltdown. And not all meltdowns would be the same regardless. There is no reason to fear people with Aspergers. This is especially true when you learn a bit about Aspergers but not without getting to know what is true for any individual with Aspergers (AS) or not because as I’ve said, each one of us is not effected in the same way or the same degree that you may think if you just paint us all with one brush of what you may read online. People with AS are often a lot less angry than their NT counterparts. This notion, stigma and stereotypically uninformed way of thinking that people with Aspergers are to be feared or are angry a lot or are often having meltdowns is prejudicial thinking to say the least. Again, it is highly individual. Not that anyone with AS alone would need to be feared at any point regardless due to having AS. Speaking for myself, again, I experience a tremendous amount of inner-happiness and joy in my life in many ways. I can experience this with others but I experience and to be honest value the quality of the inner-experience more than shared with others experience. That does not mean I don’t like to share with others, work with them, or be social. I do. It just means I will prefer and need more time on my own than I share with others which again is not totally about having AS, it is also a lot to do with being introverted. I think people easily fear what they do not understand. So working to help others understand me as an individual and yes, an individual with AS, as I need to get to know and understand others and often the different challenges they are facing in their own lives is how we can bridge differences in an accepting way and find common understanding, respect, and common ground with each other. 6. That if one has Asperger’s is effected by everything attributed widely to it: This is perhaps the most stigmatizing, stereotyping, disrespecting, painful, derisive, unkind, and inaccurate assumption made about people with AS. We, who have AS, are not all the same at all. The fact that I have AS does mean it is the sum total of who I am. It is not. It is something that is a part of me. Their is much more to me than just AS. I value very much the positive attributes that result in my life and my different ability that is due to being an individual with Aspergers. Unlike what you can read about Asperger’s Syndrome, that would not apply to me, would be that “all with AS lack empathy,” have no compassion, lack personal insight as to how they relate to others or are perceived by others, care only about themselves, “lack social skills”. These do not apply to me at all. They do not apply to all with AS. There is also that vast difference between genders with AS. However, having said that, you still have to consider the individual, be the male or female. Please do not read about Aspergers and then think you know someone and that’s who or how they are. It is pre-judging and intolerant and disrespectful to generalize based on a label that many write about from a “professional” or “academic” perspective (who do not have AS) and who really may not have encountered those of us more “high functioning” as much (if at all) to the degree they encounter those who are much more greatly affected and lower-functioning due to Aspergers. It is just a common sense reality that those who have more of the listed and defined “Asperger traits” than those of who don’t are not the same and need to be considered (all of us) individually and that “professionals” encounter much more often those who need more help and are lower-functioning than those of us who do not need their help and are higher-functioning. People with Aspergers are not going to fit all criteria you can read about and again, each is an individual who needs to be seen first and foremostly as such and not painted with the broad-stroke “abnormal” approach to defining what it means to have Aspergers. 7. That all with Asperger’s need or even want to be “cured”: I would question if Asperger’s Syndrome, now categorized in the DSM 5 under Autism Spectrum Disorders, should be in the DSM at all. Should it even be considered something that is “abnormal”? I don’t think so. I think it’s about difference. Difference in many ways and also difference in ability. People with Asperger’s or on the higher functioning end of the autism spectrum are not disabled only or that much. Rather we are differently abled in a world that seeks to still judge and understand people based on similarity to self or to group, community, etc. rather than taking each person for the individual that they are and working harder at accepting and differences and learning that in doing that we can then find more common ground similarities after all. As an adult with Asperger’s Syndrome I find it much more a gift than a “disability”. I find it much more to be a part of me then some way of defining who I am as an individual in totality. I don’t need to be “cured” from anything. I believe that Autism, all along the spectrum, is an different way of being, thinking, expressing, (or not expressing for some) connecting, (not connecting for some) but there is in everyone on the Autistic Spectrum despite what some lower-functioning “classic autism” a quality of life. A quality of inner-life in many ways that those who are NeuroTypical cannot at all understand. There is not need to cure what is simply a different way to be. 8. That adults with Asperger’s can’t have empathy, compassion, learn to navigate effectively socially: Again, this is a stigmatizing and stereotyping notion or cognitively-distorted belief ascribed to those with AS. It is also very important again to keep in mind the individuality of each with AS and not lump us all together. There are people with Aspergers (often male but not limited only to males) more profoundly affected by AS who may not show or express in NeuroTypical ways empathy or compassion or learn to navigate effectively socially. But this is highly individual. And even in those that seem to lack the expression of empathy or compassion, I have written about his on this site elsewhere in detail, this does not mean they lack empathy and compassion totally but it does mean that one would have to be very attuned to the ways that you could glean this from some those with Aspergers who are not going to express it the way that NT’s are used to receiving it. For example, and this does not apply to me personally, (though I do need to remind myself from time to time in social contexts) due to the (and it varies too) literal nature of Aspie understanding and interpretation I have had clients with Asperger’s or spouses (parents) of someone with Asperger’s ask my many times why does their Aspie loved one not tell them they love them? What is often the case, for many, is that they have been told they are loved but some with AS, being much more literal than (I and others) think that if “I told you once I love you, you know I love you, why would I have to tell you again and again”? Many people with Asperger’s (like myself) are quite capable of empathy, compassion and navigating the NT social world. 9. That adults (or children) with Aspergers are only interested in their narrow focus of interest: For many, and especially younger children (“little professors”) with Asperger’s this can seem to be the case. Their is no doubt that each individual with AS has one to two areas of intense narrow focus. And they will want to talk about it intensely, often, perhaps in some cases in seemingly-unending ways. This is not the case with all. Yes all with AS have narrow focus on interest(s) than enjoy talking about them. As adults, however, many of us have learned that relating and conversations can’t always be about our narrow interest(s) focus and that we want and need to listen to what others are interested in to have effective and meaningful relating and communication with others. Having narrow focus of interest(s) is something that many of us get to know a lot about and become “expert” in and then go on to University, get degrees, and make careers in those areas of interest and contribute greatly to this world. Does that sound like Aspergers in that high-functioning sense is a disability at all? While it is true that Aspies have narrow focus interest(s) it is also true that not all will be doomed to only talk or share about them. Many of us will learn as I have learned a long time ago, there is a time and place for this. Making a career out of one’s narrow focus of interest(s) as I have like so many others with AS is an incredibly rewarding part of having AS because we get to work in areas that we truly are totally and deeply interested in. And, just another fact, to dispel stigmatizing stereotyping of those with AS, when you love what you are interested in genuinely and deeply it becomes a burning passion that helps you to be much more effective and skilled in your chosen profession and I know this feels for me like it’s not even really work. It is such a passion and I am freely driven out of interest and love of what I do, know, and have been educated in, to, in my case, help others heal, recover, or become unblocked in goal achievement, identify issues that they want to change in their lives, and help people with personal and on-going self-understanding and self-development. People (certainly in adulthood) with high-functioning Asperger’s Syndrome can and do expand their narrow focus of interest(s) in vibrant, practical, and exciting ways that contribute to our economies and the betterment of humanity and meaningful ways of working with and for people that improve the quality of their lives in wide-ranging fields including engineering, tech innovation, psychology, philosophy, science, research, medicine, law and the list is endless. 10. That adults with Aspergers are mentally ill: This is an absolute false-hood. A terribly stigmatizing stereotype that does not apply to Asperger’s or the Autism spectrum at all. It is true that some people with Asperger’s due to the nature of navigating deficits (to “normality – whatever that is) do develop some mental health challenges. But Asperger’s itself, is not at all a mental illness. This is why I’ve always wondered why it is seen by psychiatry to be fit into (in their opinion/judgment) the “Bible of Psychiatry” the DSM – now with version 5 being in use though being boycotted by many professionals because it has long-since been perceived by many professionals as being a rather arbitrary and pseudo-science at best collection of largely unchallenged pathologizing of humanity now driven primarily by U.S. Big Pharma with an agenda to make more money for all by taking it to such an extreme in the pathologizing and categorizing (by a small unregulated and not peer-reviewed “working group” of psychiatrists) people to the point that as noted Australian Psychiatrist, Dr. Niall McLaren, was quoted on my Psyche Whisperer Radio Show in an interview we did (or he may have said this to me privately – as having said, the DSM is so out of control and pharmaceutical industry driven (prior to the publication of the current DSM version 5) that “you could now diagnose a ham sandwich” with a variety of “psychiatric illness” which biopsychiatry has now since the “decade of the brain” (for what that is worth) in the 1990’s has laid claim to the scientifically un-proven illusion that “mental illness is a brain disorder”. This too is bunk. Abject false “flawed-theory” put forth as if it were proven science, which it is not. The various named aspects of various degrees of autism now included in the DSM-5 under the categorization of “Autism Spectrum Disorders” must be challenged in so many ways because Autism on any point of that spectrum has nothing to do with “mental illness”. © A.J. Mahari, July 26, 2014 – All rights reserved.